The Faerie Review: Blog Ahead October! 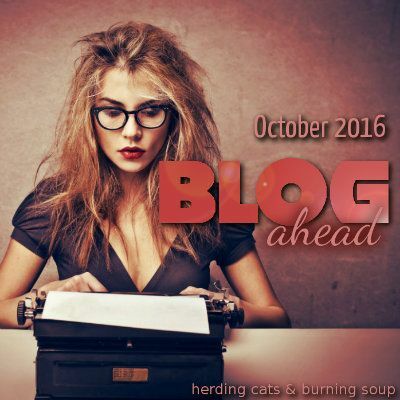 It's time for Blog Ahead October! In the month of October you increase the number of scheduled posts you have by 30. Ex. On Oct 1st if you have 7 posts scheduled, at the end the month you would need 37 posts scheduled. Just click here to sign up and you can do it too! Looking forward to getting posts scheduled and creating that all-important cushion. Good luck!